A few weeks ago I came into the kitchen to use the microwave and discovered there was a cockroach crawling around inside the clock. You can see a picture above; below on the left I outlined the roach and then inverted the rest of the picture’s colors and on the right is Phoebe’s reaction—I think she was reacting to someone taking a cheerio… to her roaches are just something to taste, with the hope that she has found another food source!. As to the roach, it keep crawling around for a few days and then it disappeared. 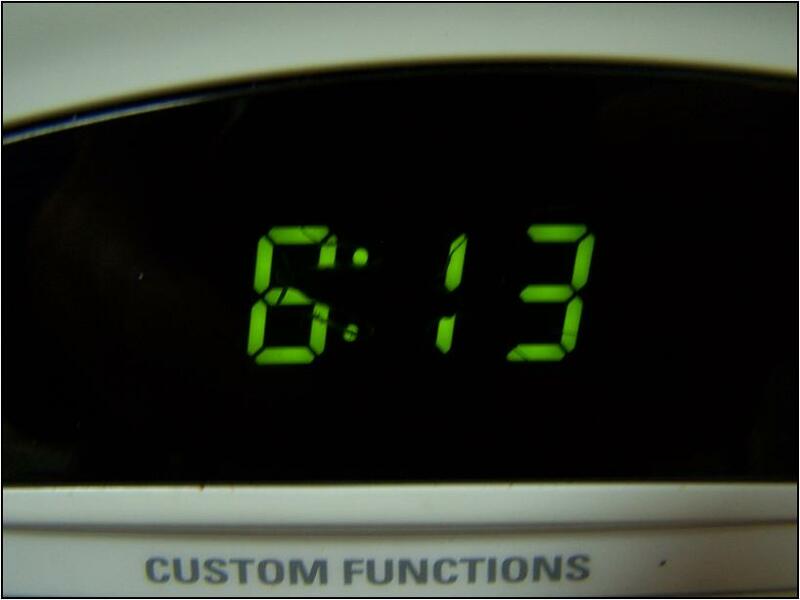 I could never figure out how to open the clock face (not that I tried very hard, unlike WALL-E, roaches give me the creeps), but I hope it was fried by the microwaves. Of course I have heard roaches are more capable of surviving a nuclear fallout than we are… which means the little cretin is probably just biding his time before jumping for a feast on one of our left-overs. Of course when we pull the plate out and find him Meg, Ivy and I are going to freak! But Phoebe will have no problem reaching out to grab dinner—roach and all! ~ I hope everyone had a Merry Christmas, with the knowledge that God created us to live in this moment… of course He also created roaches! Which makes the moment that much more interesting.